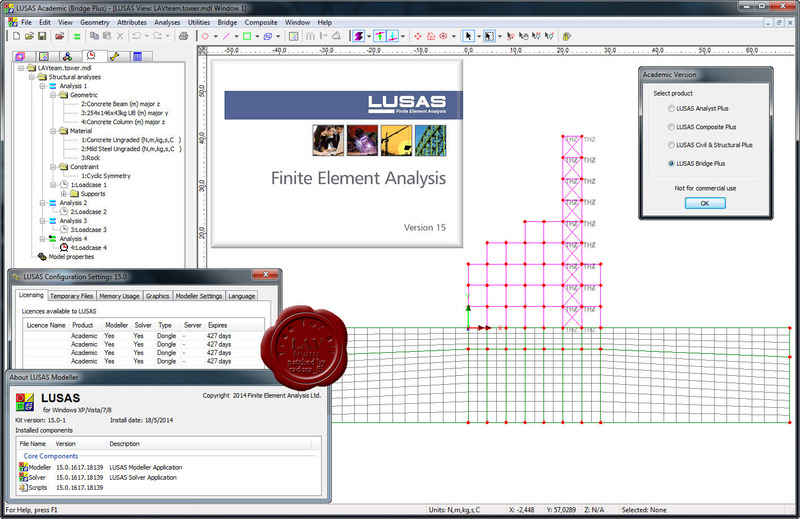 LUSAS develops, markets and supports a range of engineering analysis software products all based upon the LUSAS finite element analysis system. 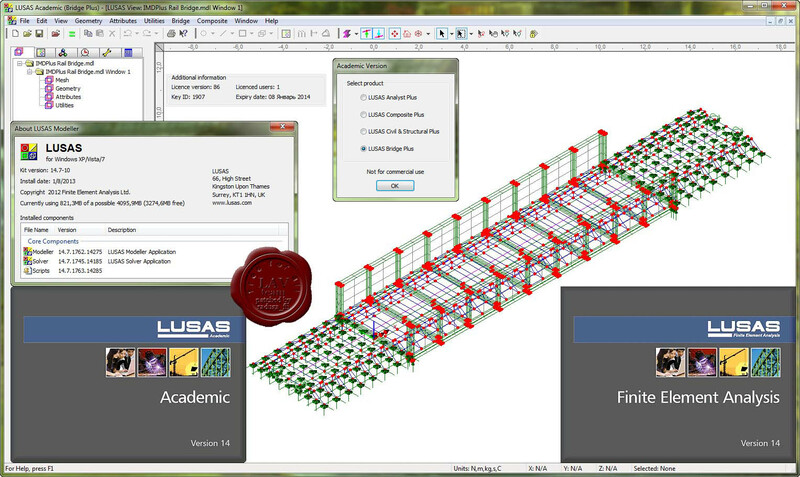 LUSAS software products can solve all types of linear and nonlinear stress, dynamics, composite and thermal engineering analysis problem. All software products are available in LT, Standard or Plus versions. Analysis capabilities for particular LUSAS software products can be extended by using Nonlinear, Dynamic, Thermal/Field, Fast Solvers and other software options.